Today I am thinking about my WHY. My WHY for being healthy, living fit and wanting to the live the best, fullest life I can. The reason I am thinking about my WHY? I have been feeling super unmotivated to eat healthy lately (if you follow me on My Fitness Pal, you know this is true). And I don't really understand why I am doing this - why am I eating sugar when it makes me feel awful? Why am I eating unhealthy foods that leave me feeling bloated and heavy? Why am I not taking advantage of the great weather we're having? I think overall I've been feeling a bit down lately and I know there are things I am doing that contributes to this negative feeling. So...I am changing that! I am cutting out the things that contribute to me feeling down and I am upping the things that leave me feeling great. 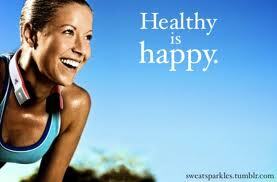 So that means more fruits, more veggies, less processed foods, less sugars. That means hard workouts, but good rest days. That means getting out and taking advantage of all Austin has to offer and really enjoying the time we have living here. 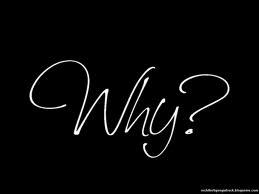 WHY do I want to be healthy and fit? Because I feel better when I do. Because I like inspiring others to live more healthfully. Because I want a long and healthy life with my husband. Because I want to feel great about myself each day. WHY workout and eat well? Because it's how I feel my very best. What's your WHY? Get thinking about it!